This week holds many opportunities to celebrate those who have put their lives on the line and made sacrifices to serve our country and protect our freedoms. 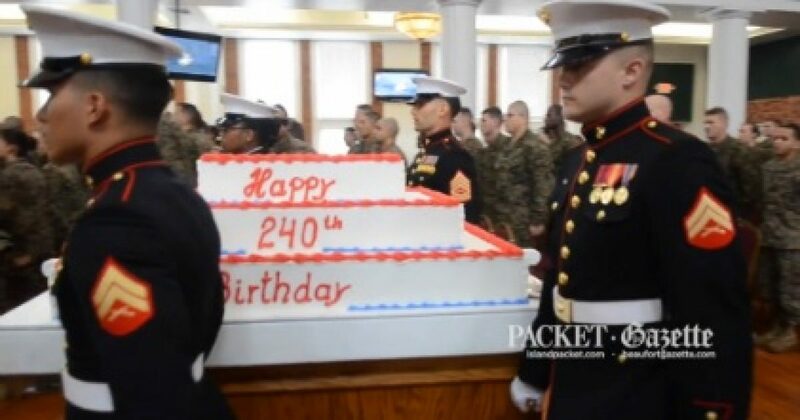 Today is the 240th birthday of the U.S. Marine Corps, and tomorrow is Veterans Day. The Marines use today’s anniversary as a day to honor those who made the ultimate sacrifice in service, and to reflect on the long heritage and traditions of the Corps. To learn more about Marine traditions, they have an excellent summary on their website here. When the Continental Congress raised up the two battalions of Marines in 1775, it launched the greatest fighting force the world has ever known – a force revered globally for its uncommon valor, unparalleled adaptability, and ferocious tenacity. Over the past 240 years, the battlefields and equipment have changed, but the spirit of the United States Marine Corps has prevailed in every clime and place. …As we celebrate the 240th birthday of our Corps, we pay tribute to all who have served and we remember our fallen heroes. We take great pride in our legacy and in the fine men and women who carry our colors into the future. And we extend heartfelt thanks to our families for their steadfast support. Our 26th Commandant, General Louis Wilson, once said, “In the last analysis, what the Marine Corps becomes is what we make of it during our respective watches. And that watch of each Marine is not confined to the time he spends on active duty. It lasts as long as he is ‘proud to bear the title of United States Marine.’” Thank you all for guarding the legacy of our Corps during your watch. If you know a Marine or a veteran, be sure to thank them for their service this week… it is the absolute very least we can do. Previous articleGuess How Many Mainstream Media Reporters are Democrats?